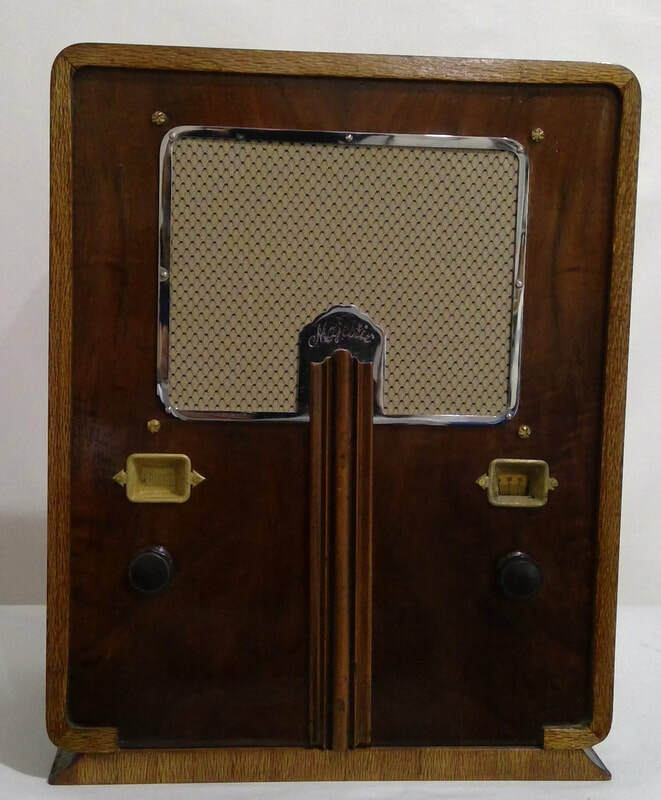 1932, model 15, radio manufactured by Grigsby-Grunow Co., Chicago, USA. 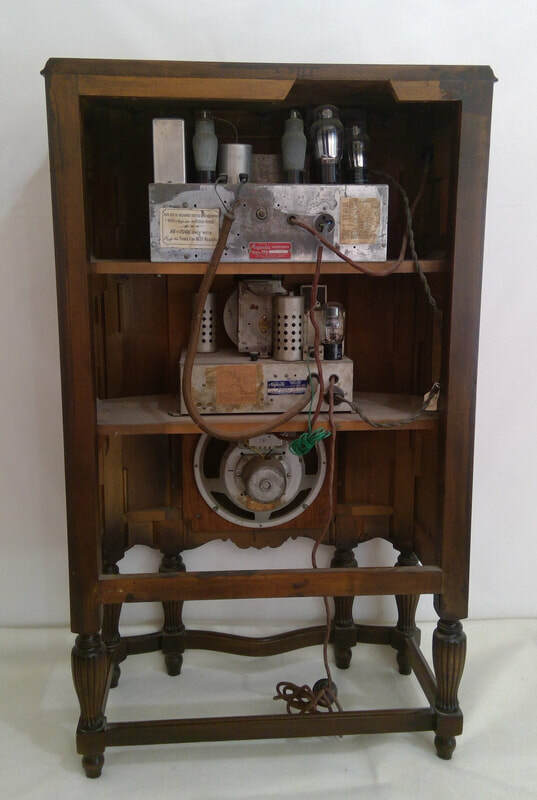 It is a super-heterodyne AC mains (230 volts) with a 5 valve line up. The style is a table model mantle, wooden case construction. Dimensions (HWD) 390mm x 345mm x 245mm. 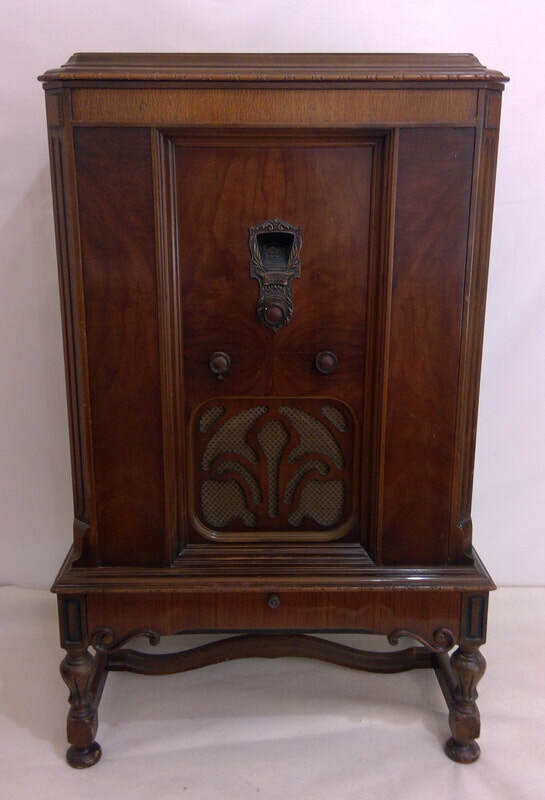 1930/31, model 52 with Chassis Model 50, radio manufactured by Grigsby-Grunow Co., Chicago, USA. 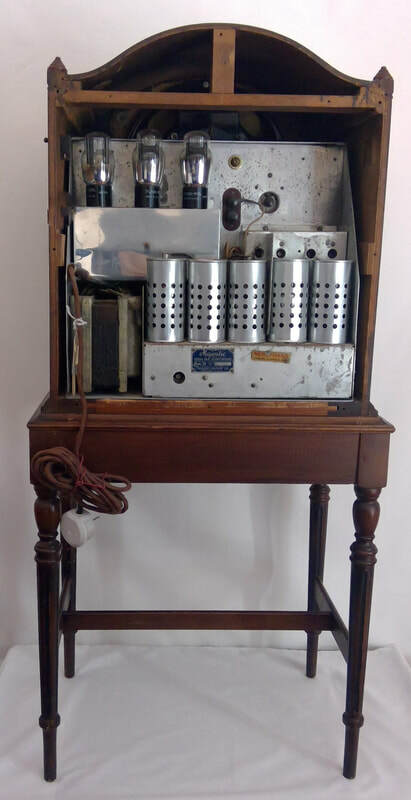 It is a super-heterodyne, screen grid, AC mains (230 volts) with a 8 valve line up. The style is a console lowboy, wooden case construction with detachable stand. Dimensions (HWD) 1000mm x 470mm x 325mm. 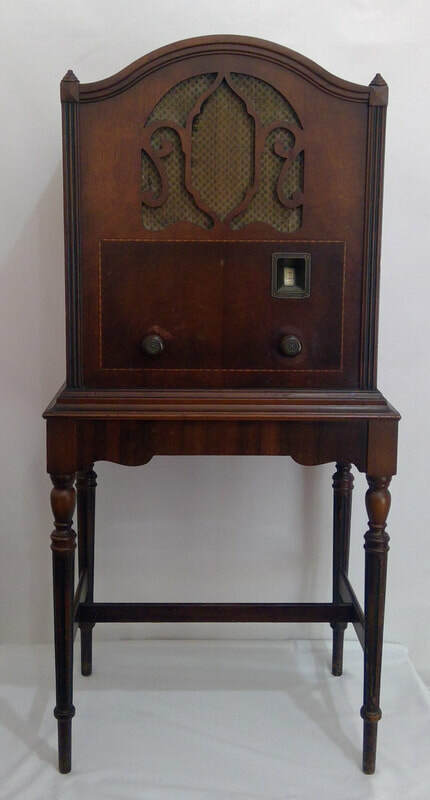 1930, model 102 with Chassis Model 100-B, radio manufactured by Grigsby-Grunow Co., Chicago, USA. 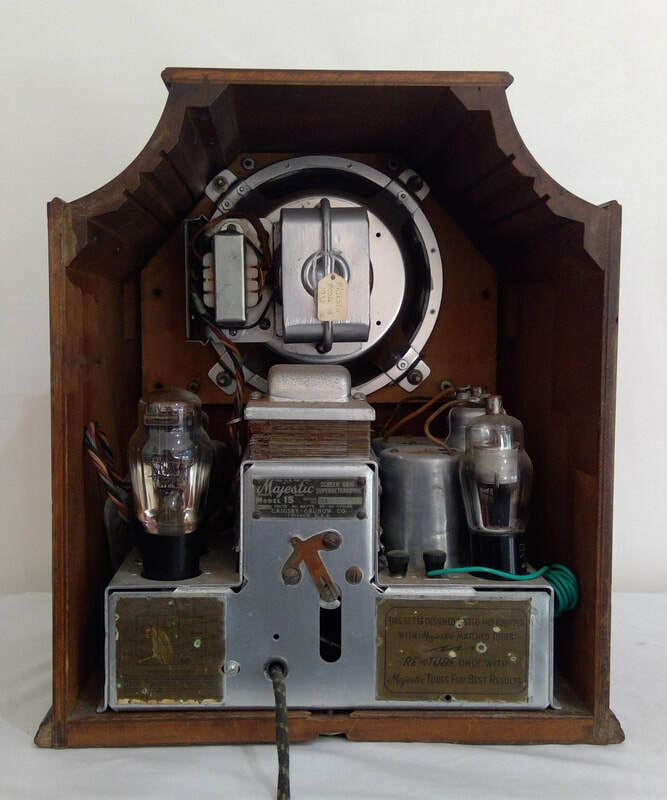 It is a TRF, AC mains (230 volts) with a 8 valve line up complete with turntable. 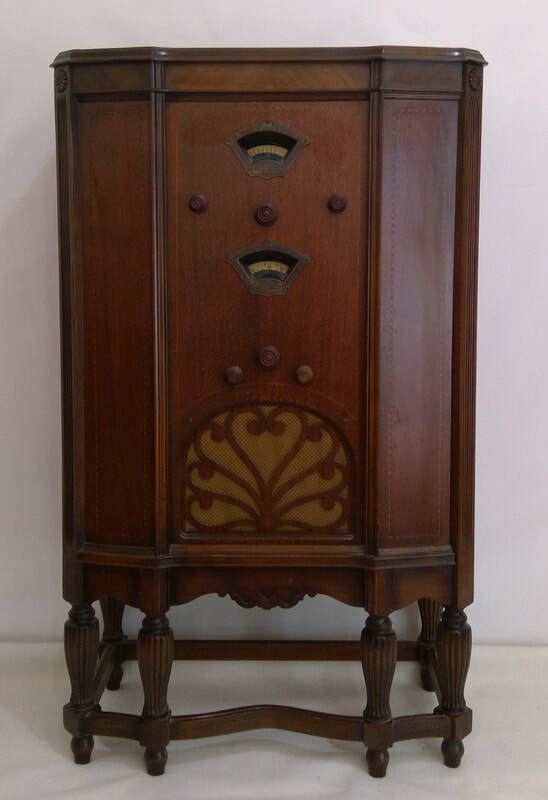 The style is a console lowboy, lid opens, wooden case construction. Dimensions (HWD) 1135mm x 710mm x 435mm. 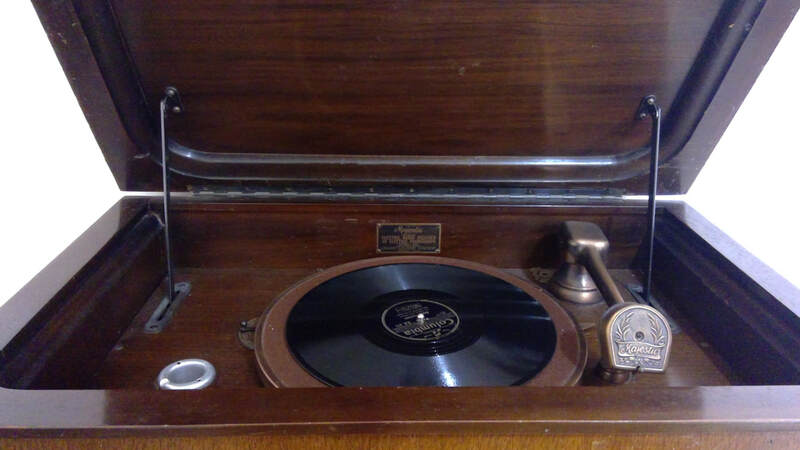 1932, model Monroe 294 with chassis model 290 plus separate converter model 10, radio manufactured by Grigsby-Grunow Co., Chicago, USA. 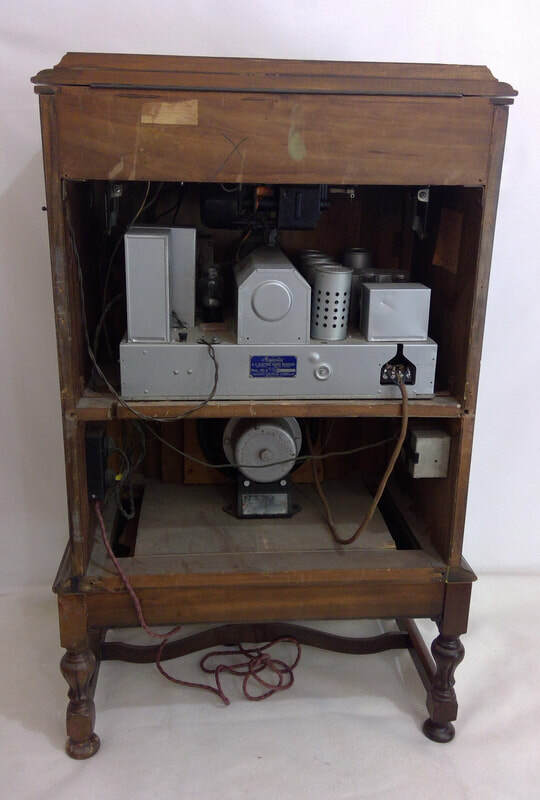 It is a screen grid, super-heterodyne and short wave converter, AC mains (230 volts) with the two chassis making a total of 12 values. The style is a console 6 legged lowboy, wooden case construction. Dimesions (HWD) 1090mm x 650mm x 340mm. 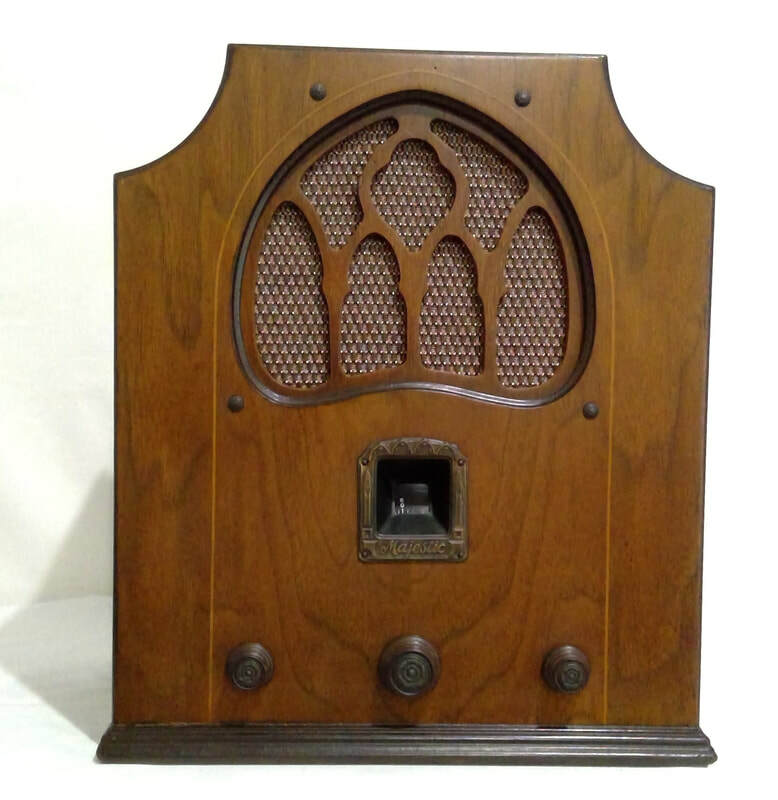 ​1934, model 461, radio is manufactured by Grigsby-Grunow Co., Chicago, Illinois, USA. 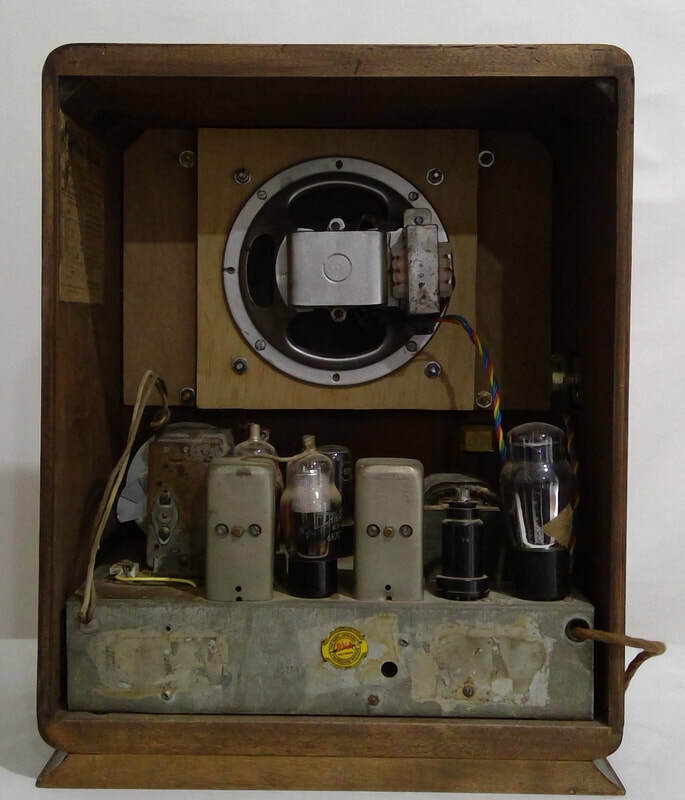 It is super-heterodyne with RF stage and AC main with a 6 valve line up. The style is tombstone mantle, wooden case construction with chrome grille. Dimensions (HWD) 432mm x 337mm x 213mm. 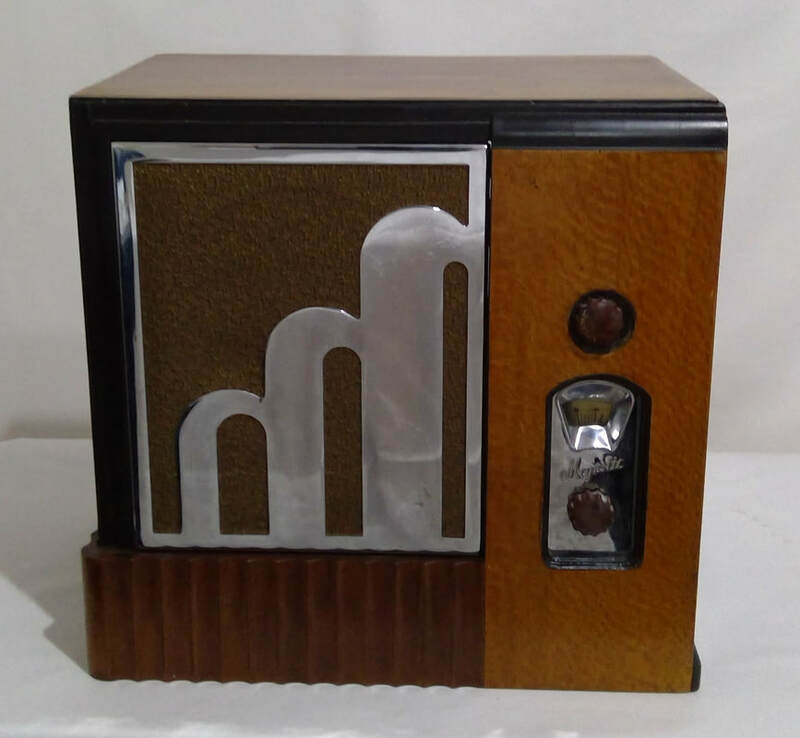 1934, model 463, radio is manufactured by Grigsby-Grunow Co., Chicago, Illinois, USA. 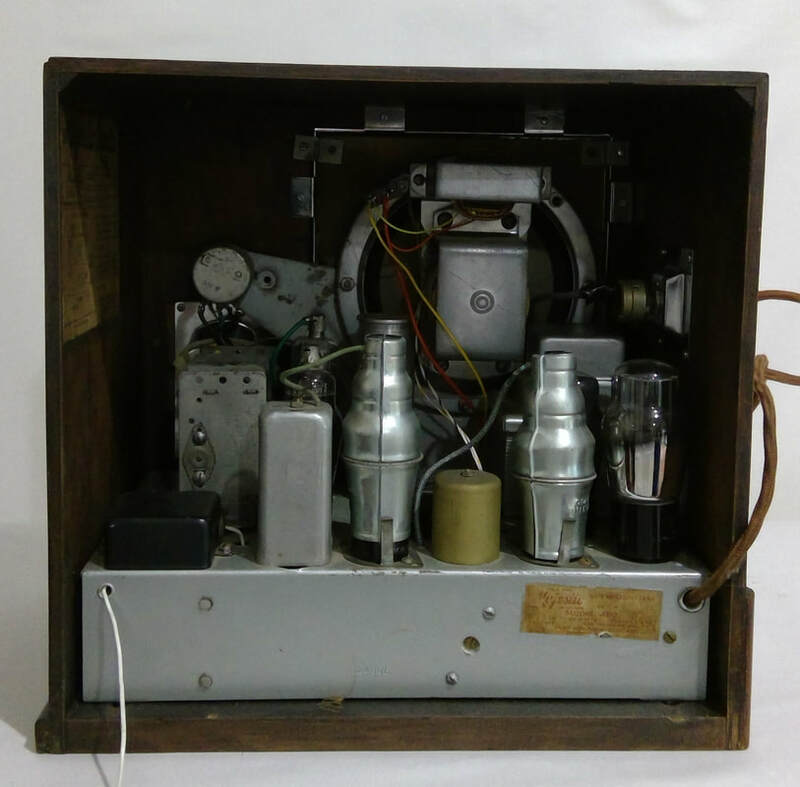 It is super-heterodyne with RF stage and AC main with a 6 valve line up. The style is tombstone mantle, wooden case construction with a chrome grille. Dimensions (HWD) 330mm x 330mm x 235mm.